Paramedics say the driver of the taxi was not hurt in the crash. As many as 21 schoolchildren were injured when the minibus taxi they were travelling in crashed into a tree along Ramadas Road in Isipingo, KwaZulu-Natal, on Tuesday morning. 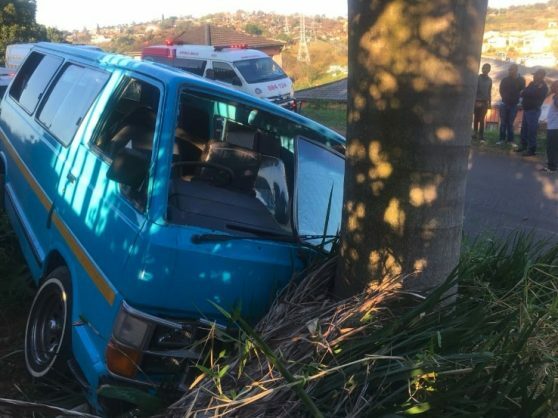 ER24 spokesperson Russel Meiring said when paramedics, along with other services, arrived on the scene at 7..05am they found the minibus taxi on the side of the road against a tree. “Several children were found either seated on the side of the road or seated in other vehicles,” said Russel, adding that paramedics assessed them and found that 21 children, believed to be aged 9 and 12, had sustained minor to moderate injuries. “The children were treated for their injuries and were thereafter transported by various services to nearby hospitals for further treatment,” said Russel. The driver of the minibus taxi was not hurt in the crash. Local authorities were on the scene and they are investigating the cause of the crash.